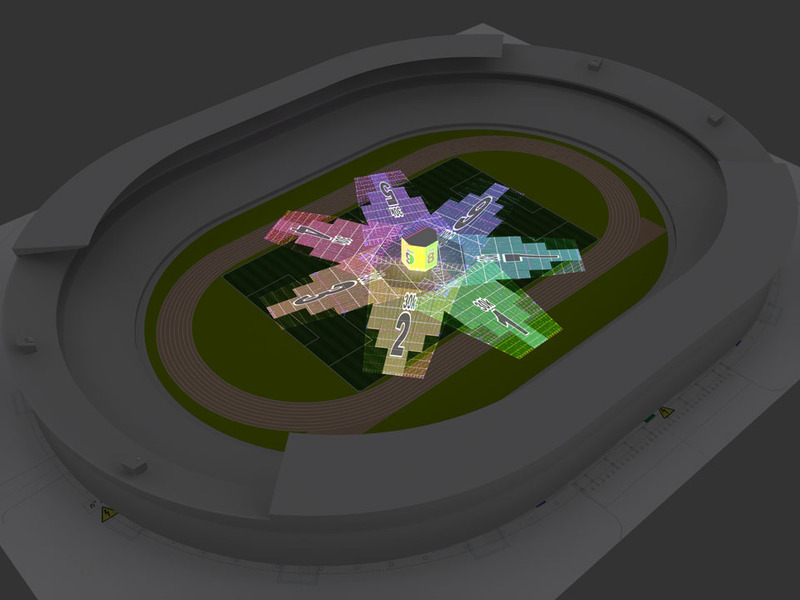 I participate, with Jeff Couturier, to this project to calculate the best projection layout for this outdoor wolrdwide show in Bata Stadium, Libreville, in occasion of the closing ceremony of the CAN, coupe d'Afrique des Nations de Football. 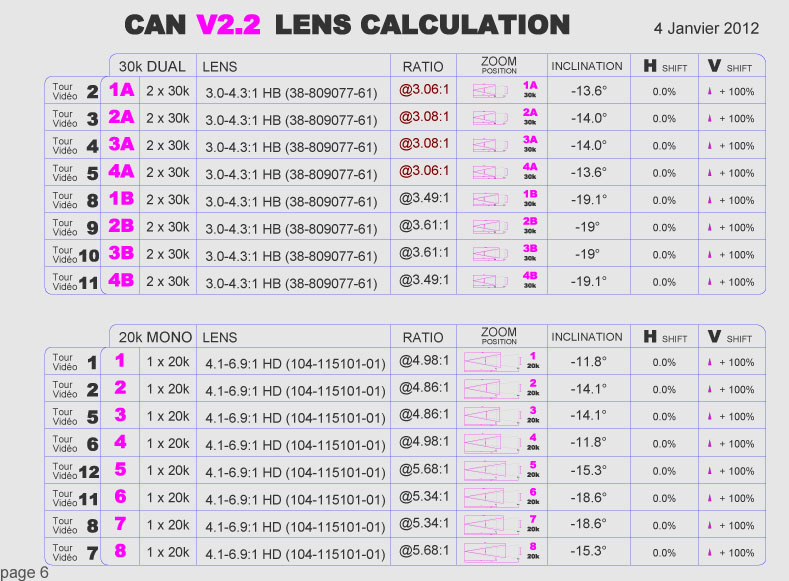 Below you can see the list of all video projectors, including informations about their lenses, ratios, vertical inclination and lens shift values. 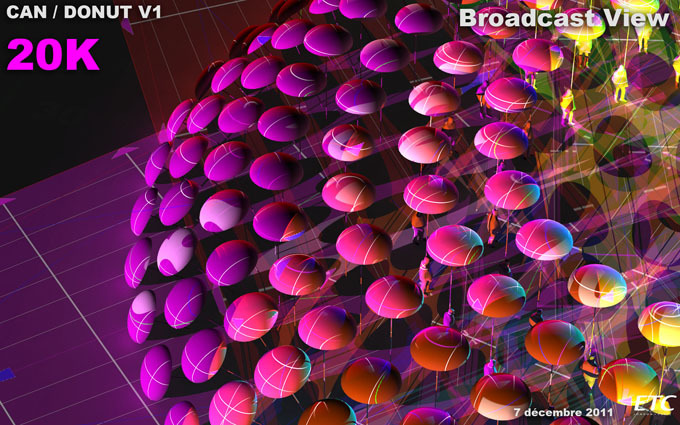 On the right you have a top view of the filed of play with the scenography in place and all FOP projector's light beams. In the last image of this slide-show all projectors are running. Below you have four video projectors point of view projection into the field of play wile some dancers are performing a choreography with theirs umbrellas. 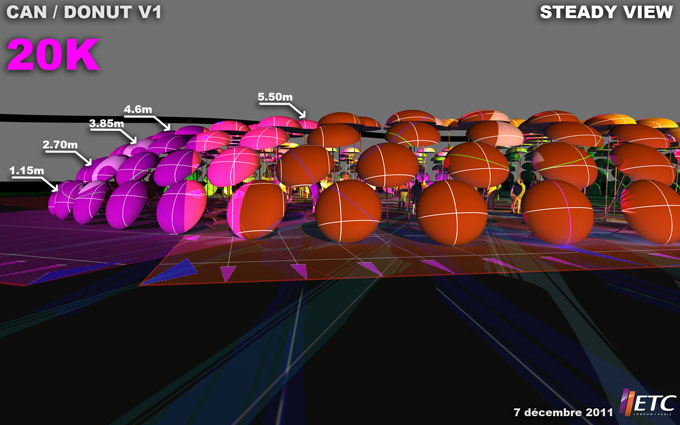 On the right you have a 3d simulation of the 8 x Christies 20k projecting together the field of play with dancers performing with their umbrellas. 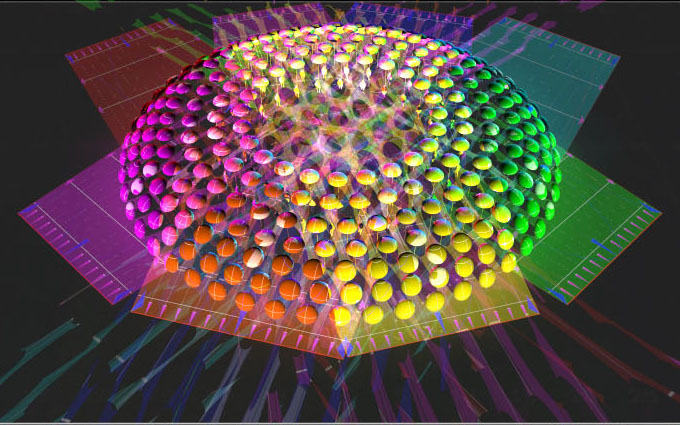 Below you have the texture, with a metric grid and numbers in anamorphoses, that will help the content creation at the line up of the projection once on site.